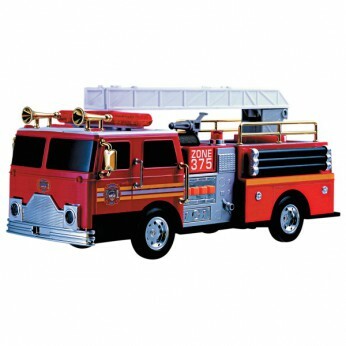 Rumble Roar Fire Engine with forward, stop and reverse functions. Includes an emergency light, electronic siren and voice commands. Batteries included. Item dimensions L35 x W11 x H15cm…. This toy costs approximately £12.99 (for the latest and best prices make sure you check our retailer list for the Rumble ‘N Roar Fire Engine above). In our review of Rumble ‘N Roar Fire Engine we classed it as being suitable for ages 6 years, 7 years, 8 years, 9 years but recommend you check the manufacturer specific advice before purchasing.